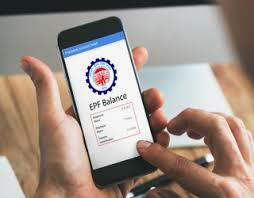 In a letter sent to its regional offices today, the Employees' Provident Fund Organisation (EPFO) has instructed that this calculation sheet be provided to the members either on their registered mobile number or the email ID provided by them in their EPF claim form. Commenting on this move, Puneet Gupta, director, People Advisory Services, EY India said: "From Employees’ Provident Fund Scheme, an employee is eligible for lump-sum Provident Fund withdrawal covering his/her own contribution, employer’s contribution and interest on both under specified circumstances such as retirement or termination of employment (provided the employee is not employed in another Provident Fund covered establishment for 2 months). The calculation sheet for provident fund withdrawal proposed to be provided by the Provident Fund office will help employees understand the details of lump-sum Provident Fund withdrawal received by them. It is proposed that the calculation sheet will be provided either on registered mobile number or email-id as provided in the claim form. The Provident Fund office has clarified last week that a similar worksheet will be provided for pension benefit. These are welcome steps as it will bring transparency and reduce employee grievances."